One area the website has thrived in is merchandise. Their catchy t-shirts are the rage these days (I may or may not own a FREE BRADY tee). One person who is on-board with Team Barstool is Patriots defensive coordinator Matt Patricia. As the Patriots landed in Boston on Monday afternoon as newly minted Super Bowl champions, Patricia stepped off the plane wearing a Roger Goodell t-shirt with a clown nose prominently featured on the commish’s face. Patricia’s shirt is a Barstool special that has been on sale since the Deflategate scandal picked up in 2015. While Tom Brady and Bill Belichick are taking the high road in Goodell-related business, it appears that others like Patricia, and maybe owner Robert Kraft, aren’t exactly following the lead. 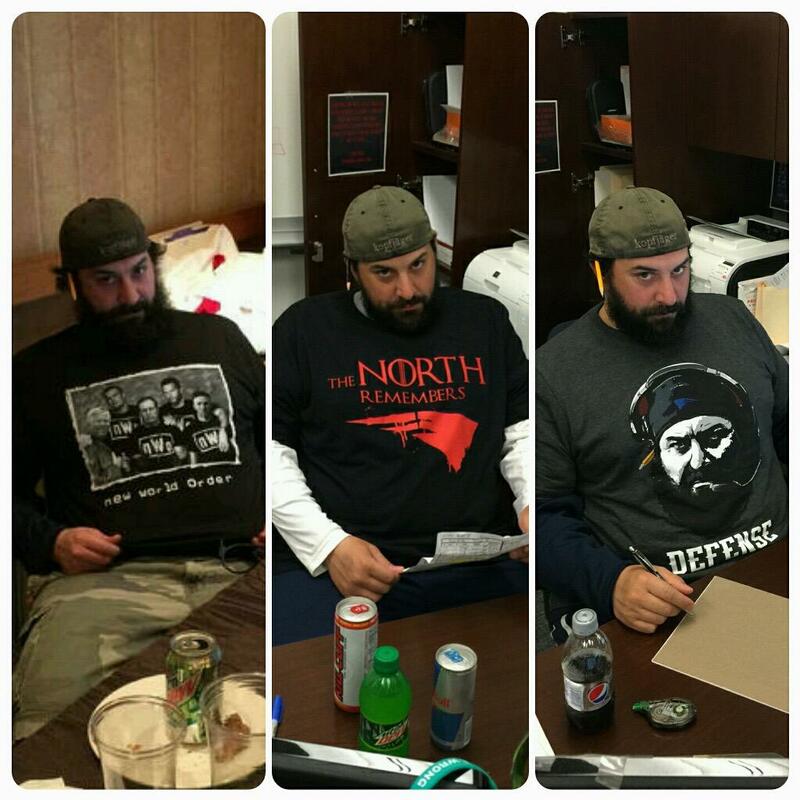 Looks like Barstool may sell a few more Goodell shirts thanks to Coach Patricia.